Support is woven through every layer of the U of T Engineering experience. You will find it in the mentorship that upper-year students provide to first-year students, and in the extra time professors spend to help with a particular challenging concept or topic. Beyond a supportive network of students and professors, U of T Engineering also provides specialized services designed to meet your needs as an engineering student. 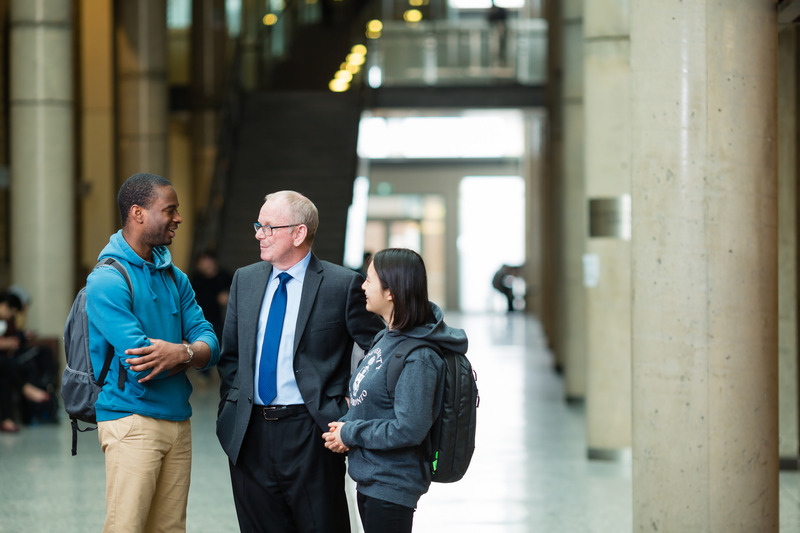 The Faculty of Applied Science & Engineering’s commitment to an outstanding educational experience is reflected in the number and variety of resources and options available to our students. This investment in student success has translated into an exceptional retention rate, with more than 94% of students transitioning from first to second year. To succeed in your studies and as a professional engineer, you’ll need strong writing and speaking skills. Our Engineering Communication Program will teach you how to be an effective communicator. Your Departmental counsellor is a great resource for information regarding your program of study, course selection, and any academic matters.